Let your guests drink in the beautiful scenery and enjoy a refreshing beverage at your next event when you sell colorful Art Canvas Drink Tickets. 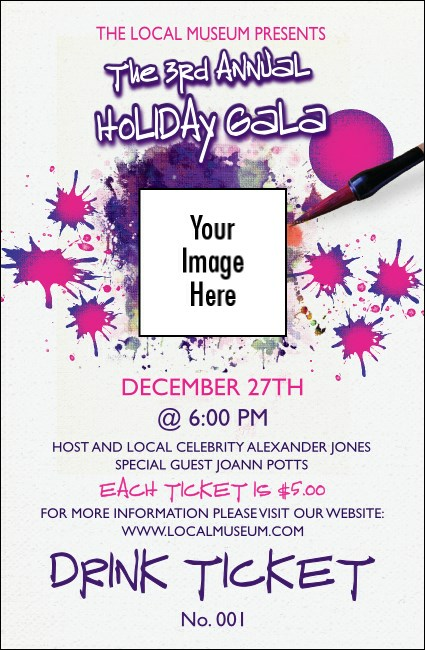 These artful tickets feature a white background that looks like a canvas painted with neon pink and purple paint splatters, and give you space to upload your own unique image. Find the right ticket to bring your event to life at TicketPrinting.com.